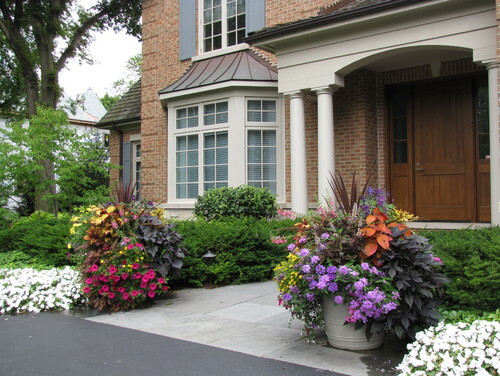 There are hundreds of factors that go into the curb appeal of any given home. Style of the neighborhood, look of the home, taste of the homeowner, size, color, budget, climate... the list goes on. While there's no easy "curb appeal formula" that can be applied across the board, there are some standard things that factor into curb appeal for any home. 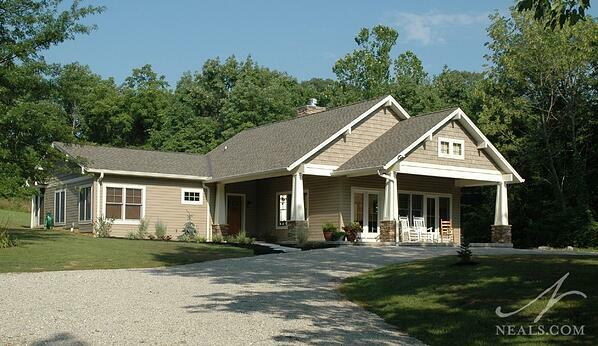 In design-speak, the approach is the physical environment between the road and the entry to your home. In other words, it's what you and your guests see when your home comes into view, all the way to when they step inside. As you can imagine, it's pretty important. The approach of your home is unique, since it includes the way your home faces the road, how long your driveway or entry walkway is, the landscaping surrounding your home, and the way your home and property relate to the surrounding areas. 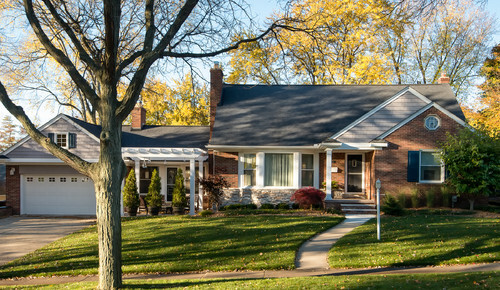 When we talk about curb appeal, we're mostly talking about the approach. To improve the approach, you'll need to identify those things your eyes get distracted by or that feel wrong at each step along the way. At the road, you'll be looking at general things and it may be based on a gut feeling that something isn't working. As you get closer, you'll begin to focus on details. If there's one thing in particular that keeps grabbing your attention in a negative way all along the approach, that's a good sign that it should be a primary item on your improvement list. There are hundreds of home styles out there, and depending on where you live, your neighborhood may have either a small selection or an eclectic mix. It's important to undertand the underlying style of your home when you are looking to improve its welcoming appeal. If you don't know your home's style, you don't have to be an architectural expert to find out. Take a few photos of your home from a distance (try to get the entire facade into the shot), and compare it to styles found in the Root of Style article listing on Houzz. Once you find some similar homes, start an ideabook to collect images. While it's tempting to collect images of all homes you like, be sure to evaluate the actual feasibility for your property and with your general budget. Look for a variety of images that capture the big picture style as well as details that you'd like to see on your home. When you evaluate all the images together, you should be able to see some patterns of the things you enjoy and would like to make a reality for your home. 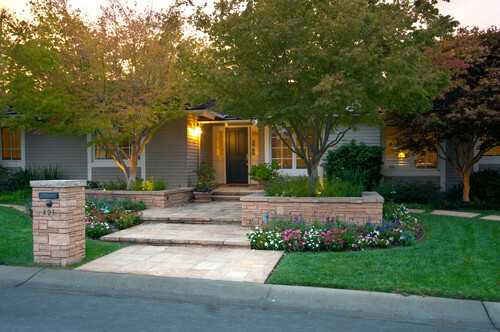 Most experts agree that a well-designed entry is the crucial element of curb appeal. This includes the style, size and color of the door, the surrounding stoop and/or porch, the lighting, and the decor. A quick browse through a "front door" Pinterest search shows that colorful doors are trending, but be careful to double check your style inspiration images for what feels appropriate. Obviously, personality can come into play through the color of your door, too, so go with your instinct. Changing out the door and ligthing styles at the entry can make a significant impact, so really pay attention to what your home's style is dictating. If your home is a traditional Victorian, a plain brass sconce might not do it much justice. These smaller changes can be a big difference to just how inviting your home feels, even if there are larger curb appeal issues yet to deal with. The hardscape of a yard is any portion in which a hard surface treatment is employed. Walkways, driveway, paths, and retaining walls are the major hardscape elements at play in curb appeal. Over time, these items can become damaged, dirty, or out-dated. A driveway in particular is suseptible to wear and tear that can cause cracks where weeds can grow. Even if the style you are drawing inspiration from is rustic, maintenance and repair shouldn't be overlooked. Additionally, the hardscape of your front yard may not actually be adding to your home's curb appeal. Perhaps your walkway is inadaquate, or too bland. Or maybe the retaining wall of your flower bed is just plain ugly. Just as you did with your approach, take note of the hardscape items that don't seem to be working. A walk around your neigborhood may offer inspiration here, particulary if other homes have similar property elements. When it comes to hardscape, the issue could be just as much what needs to go away as what needs to be added. Landscaping is such a vast topic in curb appeal, we could devote an entire article to it alone. 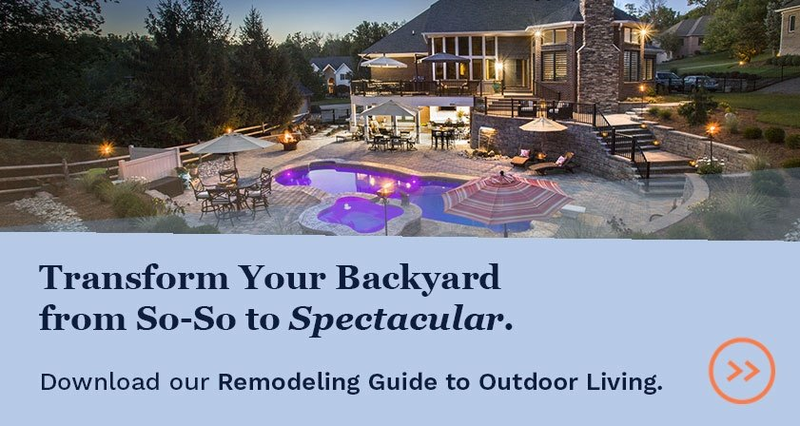 To narrow it down, however, look at your landscaping as a whole, and refer to the list of items you noted when you looked at your entire approach. Sometimes the landscaping can be improved with a bit of trimming, weeding or seeding. Other times, new garden beds or planters can make the biggest impact. The important thing to keep in mind with improving the landscaping of your home's curb appeal is to align it with your abilities. A low-maintence lawn with few garden beds may be right up your alley if you don't have a lot of extra time to devote to your yard's upkeep. If you have a green thumb, on the other hand, look for ways to show it off in your front yard. Flowers and bushes are almost always going to be a good choice if they are healthy and maintained. For all of these components of curb appeal, remember that you don't have to go only by your gut instincts. Pinterest and Houzz are great resources for inspiration to get you started. If you're still having trouble seeing where to make improvements for the best impact, contact your local contractor.